Hang on to your daggs! Our guests bring more than a touch of Taranaki mayhem, madness and No.8 wire to their July 12 show at the Mayfair Café when rebel-rousers GUMBOOT TANGO take the stage. 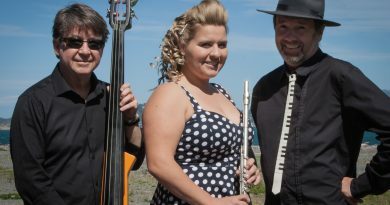 Performing Kiwi songs from rustic roots to big-smoke blues. 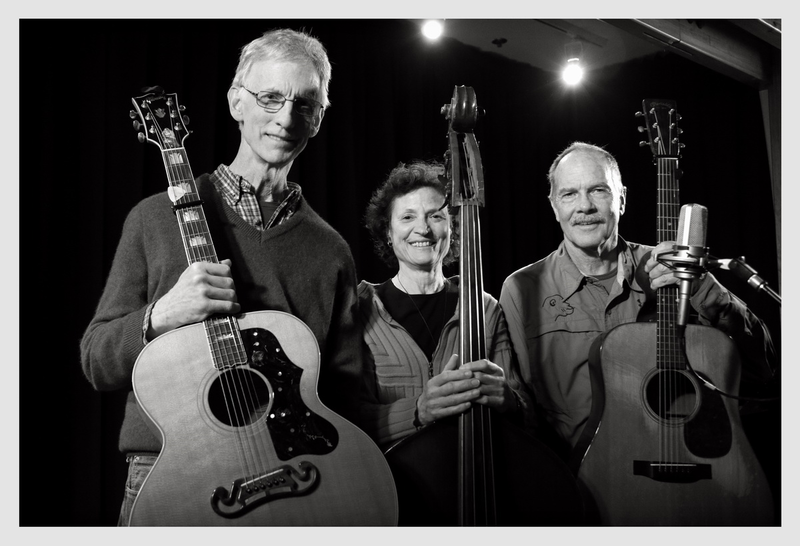 ‘The Tango’, Mike Harding, Janet Muggeridge, Steve Muggeridge and Wayne Morris, celebrate New Zealand songs and songwriters with a farmyard-infectious humour, guaranteed to put a smile on your feet and the swing back in a Taranaki gate. Gumboot Tango – an earthy yet sophisticated musical experience, audiences describe as “the real deal, true Kiwi grit, wickedly funny, and sensationally unforgettable”. 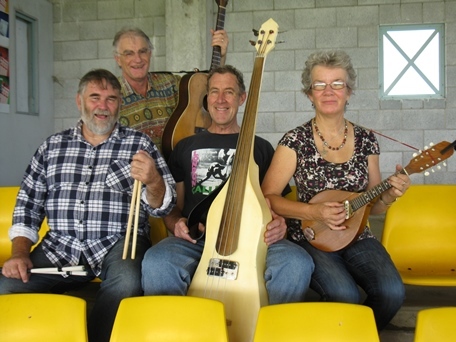 The band was formed in 1994 when Mike Harding joined Alan Muggeridge, his wife Janet and brother Steve, to assemble and record, a set of ten Taranaki songs and perform them at the Taranaki Festival of the Arts. Further musical adventures followed – gigs, festivals, recordings, and the addition of friend Wayne Morris on drums for a while, before Alan became ill and tragically died from cancer in 2000. At this point the band took a break but in time decided to continue with the present line-up, maintaining Alan’s presence with several of the songs he wrote and recorded while living in South Taranaki. 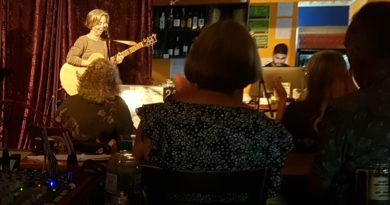 Be it clubs or festivals, GUMBOOT TANGO with their deft skills and deliciously gritty, some laugh out loud, songs, fill venues wherever they play. We’re stoked and delighted, and looking forward to having them and of course your very good selves as well at the Mayfair Café where we are in for an extraordinary night of entertainment. Opening the show is singer songwriter Niels Gedge. also Portable Panic (Tony Rickets and Jenny Kilpatrick).